Custom black licorice legacy lip balm w /white tube cap are largely ordered by Americans as it reminds them about those lip smacking black licorice candies, which are childhood favorites. 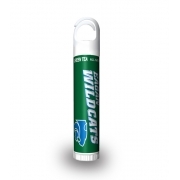 This lip balm offers lip protection from dryness and soothes the impaired lip tissues and skin cells. Health Quotient – Includes vitamin E, coconut oil, beeswax, light mineral oil, aloe oil, and reliable skin conditioning agents. Black licorice flavor. PABA Free. Cruelty- free. No quality modulators included. 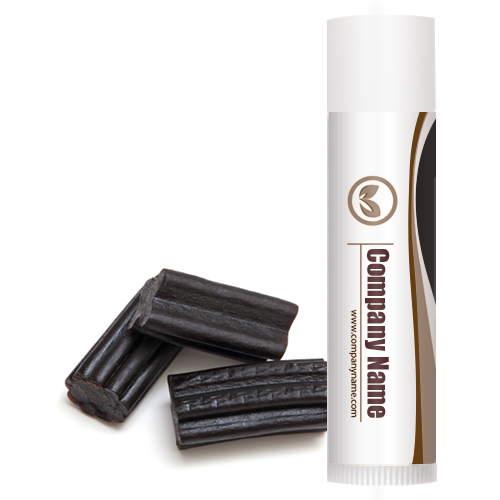 Directions – Rub black licorice balm over lips as a part of skin treatment or as a lip make up. 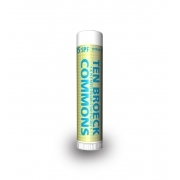 Apply it as a base for using lip makeup and use it regularly for achieving desired results. 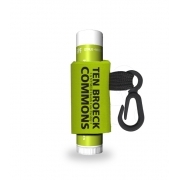 Gifting Favors – Custom black licorice legacy lip balm w/white tube cap can be slipped into gift bags or it can be handed out as a thanking token or acknowledgement token. 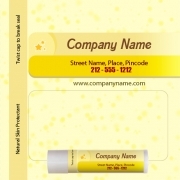 It can be used as a sales driving token during harsh winters and summers.